In Search of a Heating Company in Delano? If there is one thing that DeZiel Heating & A/C knows best it’s repairs. We have been doing repairs for a while now and want to be your heating company of choice. Make your home a lot more comfortable this winter just by calling our HVAC Contractor. Do you have a heating system that is in need o major repairs? If so, you can always come to DeZiel Heating & Air Conditioning. We can work on any type of unit you own. 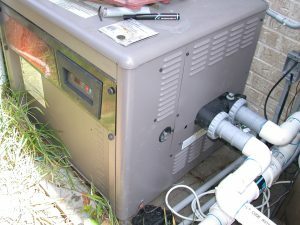 Form large commercial systems to small in home units, we are the professionals to get them fixed. Screeching noises that emerge from your heater are a direct sign that you need repairs. This can stem either from the fan or something mechanically related. We’ll discover the problem upon an initial inspection. Schedule a Delano heating inspection and let our techs diagnose your problems. You’ll be living with a problem free heater in no time as our techs come prepared. Our trucks are always loaded with parts to fix all types of systems. AC systems are great to have in the home and office as they create a pattern of cooler air for a more enjoyable time. When yours isn’t working, then you need to get it there. You can do this by calling DeZiel Heating & Air Conditioning. Whatever the reason your cooling system isn’t working, you need to reach out to us. We’re the techs that will get your home cold again. Your home basically needs to stay as cold as an ice box when the temperatures warm up. This heating system will heat your home In the winter and cool it down during the summer, so having two primary function also causes lots of breakdowns the older it is. When you experience a problems with yours, call DeZiel Heating & Air Conditioning. You’ll find that we’re the heating company that all your family and friends are talking about. For a cozier winter and a cooler summer, contact us. Improving your HVAC systems will be the best thing that you can do for them. Don’t wait, get in touch with us today and see for yourself. If you are looking for a Delano Heating & Cooling Expert then please call 763-684-3965 or complete our online request form.